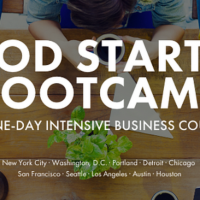 For many food entrepreneurs, navigating the basics of building a business and then finding service providers, freelance talent and like-minded investors can feel daunting. In 2011, Krysia Zajonc and Mateo Aguilar set out to solve this problem by launching Local Food Lab (LFL), an incubator for local food startups. Over the course of 2012-2013, they took 30 startups through a ‘mini MBA’ program and connected them with over 200 mentors. They realized, however, that they were spending a lot of time connecting startups with people in their network, which took away focus from developing the startups’ entrepreneurial skills, Zajonc tells me. 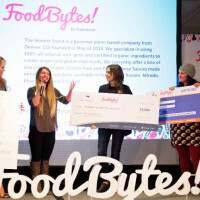 During this process, they began compiling a personal database of food entrepreneurs and service providers, which became the foundation for the startups’ new iteration. They also realized that they needed a way to reach more entrepreneurs and scale their business. Local Food Lab pivoted in November 2013 and launched a professional networking platform for the local food movement. Like a visual LinkedIn, the platform allows businesses, freelancers and students to create portfolios that showcase their work. For now, the company is focused on organic sign ups – with approximately 725 users on the platform – and understanding its users needs. In the future, LFL may also incorporate features of their incubator, such as one week mini incubators in different places. The new platform aims to “democratize resources [and] make [them] radically affordable and accessible to food entrepreneurs all over the world,” explains Zajonc. The platform is free to use and allows users to create visual portfolios with photos and videos of their businesses, products and skills. Portfolios include mission statements and endorsements (a la LinkedIn) and can be shared via Facebook, Twitter, LinkedIn and Pinterest. 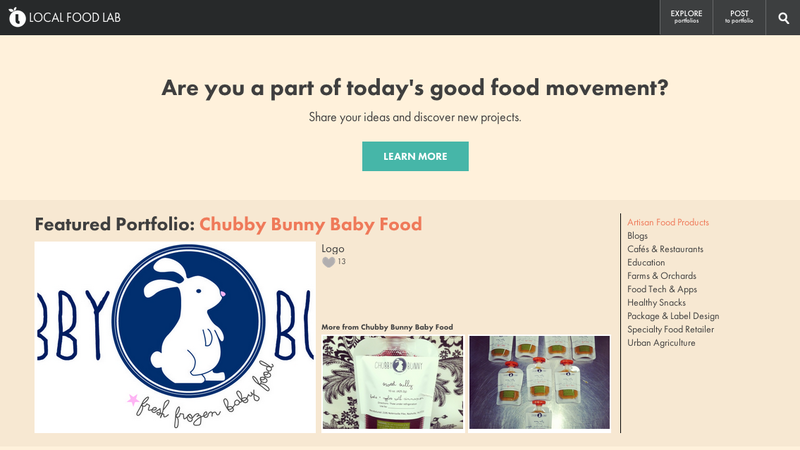 Users can search the portfolio database by specific tags – such as food tech and business services – to connect with community members, which include a diverse array of businesses, like artisanal food makers and package designers. LFL allows freelancers to highlight skills and connect with potential clients and partners and enables students to leverage portfolios as visual resumes. Startups can utilize portfolios to collaborate and partner with other companies, find freelance talent and showcase products to potential investors and customers. In five years Zajonc hopes LFL will allow for hyper-local food production to be more realistic, plausible and prevalent. She aims to enable collaboration in the space to be easier and more transparent, making local food production more abundant. 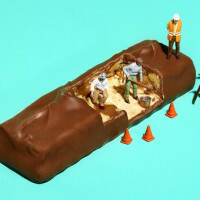 “There’s still a lot of confusion and lot of experts. And they [experts] are hard to find all over the food system. I want to help them and the people that are looking for them,” she says.